Despite the continued deep freeze here in Michigan, I spy a glow of hope on the horizon: something wonderful is coming! I don’t mean spring. That’s doubtful. 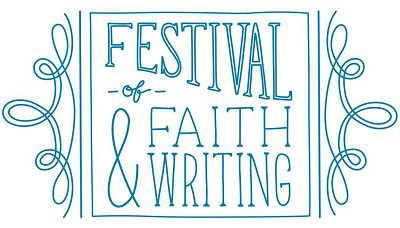 I mean Calvin’s Festival of Faith and Writing, our biennial celebration of books, authors, publishing, reading, and faith, happening April 10-12. Festival always sets out a sumptuous banquet of good books. You are welcome to visit the Festival website for a preview, or you can go to our Goodreads page and browse through the 363 titles by this year’s Festival authors. Combine cyber-intrigue, Islamic mysticism, and fantasy with Wilson’s alchemy and you get an action-packed page-turner with a spiritual heart. Alif is a talented young hacker/slacker who finds himself running for his life from state security. Fortunately, he has the help of a feisty heroine companion (entirely veiled), a mysterious ancient book, and a grumpy jinn from the shadow world. Wilson, a Muslim-American, is also a graphic novelist. Her new series featuring Muslim teenage heroine Ms. Marvel was just released on Feb. 5. A memoir of Byl’s fifteen years working in Glacier and Denali National Parks as a “trail dog,” a member of the crews that build and maintain hiking trails. With chapters corresponding to tools used on the trail, Byl vividly depicts life on the “hitch”—the natural beauties, the characters and their speech, the exhaustion, smells, and achievements. Rough and honest as well as nostalgic, the book is ultimately a celebration of, among other things, manual labor and incredibly tough women. McBride has managed to write a Civil War novel that’s funny, philosophical, satirical, and enlightening. The secret is his narrator, Onion, an endearingly frank African-American kid who, to his own puzzlement, winds up traveling around Kansas and a few other states, dressed as a girl, with old John Brown and his “army.” Onion’s point of view allows McBride to consider in completely fresh ways how religion, race, and politics contributed to the Harper’s Ferry episode. Winner of the 2013 National Book Award for fiction. Taking the Annunciation as an emblematic moment in which the numinous encounters the flesh, this volume of poems meditates on embodiment and longing, with particular concern for female bodies and private spaces. Varied in form, evocative without being inaccessible, Szybist’s poems are beautifully presented in this slim paperback with a large cut size. Plenty to ponder here for those of us very familiar with Luke 1 and the theology of the Incarnation, but Szybist’s appeal is wider: Incarnadine won the 2013 National Book Award for poetry. Never mind the vicar who solves crimes in sleepy English towns full of secrets. You need to discover Clare Fergusson, an Episcopal priest and National Guard helicopter pilot, who helps solve crimes in sleepy, secret-filled Millers Kill, New York—much to the exasperation of the town’s chief of police, Russ Van Alstyne. Plenty of action, romance, great characters, snappy dialogue, and unpredictable mayhem ensues in this novel, which is, fortunately, part of an eight-book series. If you introduce a barn full to the rafters with a secret marijuana stash in an early chapter, that barn must go up in flames eventually—and then what? Pastors, you might want to read this book before the next time you preach on the epistles. Ruden is a Harvard-trained classicist and the first woman to translate the Aeneid. She is also a Quaker who was no fan of the Apostle Paul—until she set out to read him again in the context of the Greco-Roman culture she knew from her studies. I must say, after learning more about the casual brutality and extreme pornification of first-century Tarsus, Corinth, Ephesus, etc., I feel a little better about contemporary America. The book’s claims to plow new scholarly ground may be overstated, but this is still an enlightening reassessment of Paul’s radical, Jesus-driven critique of his context. While this novel probably fits under the heading “inspirational fiction,” Brown’s background in spiritual direction grounds the story in deeper reflection than the genre usually affords. Four very different middle-aged women, all at crisis points in their spiritual lives, find themselves reluctantly grouped at a retreat. Their progress from there is halting, complicated, believable—and inspiring. Brown originally self-published, but response to the book was so enthusiastic that eventually IVP picked it up. Leach writes exquisite little essays about goats, warblers, panda bears, stars, and other astonishments tiny and gigantic. Biology, physics, and zoology are enfolded in perfectly chiseled sentences and sly slants of view, all in the service of delight. Milkweed Editions has thankfully done her writing justice with an unusually high-quality hardback book design. I bet you have never read a book from the point of view of a tortoise. No? Well, here’s your chance. Klinkenborg, known for his New York Times columns on farm life, read the journals of Gilbert White, an eighteenth-century English curate and naturalist, and noted the occasional mention of a tortoise who lived for decades on the curate’s little estate. Deciding to write from the tortoise’s point of view, Klinkenborg created a surprisingly philosophical, poetic meditation on the passing of the seasons, the sounds and smells of English rural life, the peculiarities of humans, including their religion. Despite the odd premise, the result is quite lovely and affecting. Why—you may gasp—have I not mentioned any titles by Anne Lamott, Miroslav Volf, Rachel Held Evans, Richard Foster, or other majorly famous names on the Festival roster? Answer: because you probably already know about those authors and their work. I’m trying to shine a light on some people you may not yet have encountered. Of course the best way to discover something new and delicious is to attend the Festival yourself and belly up to the book buffet. Registration is open until March 15. Michigan in April usually affords brisk, sunny, windy days and perhaps some early flowers. This year: no guarantees.